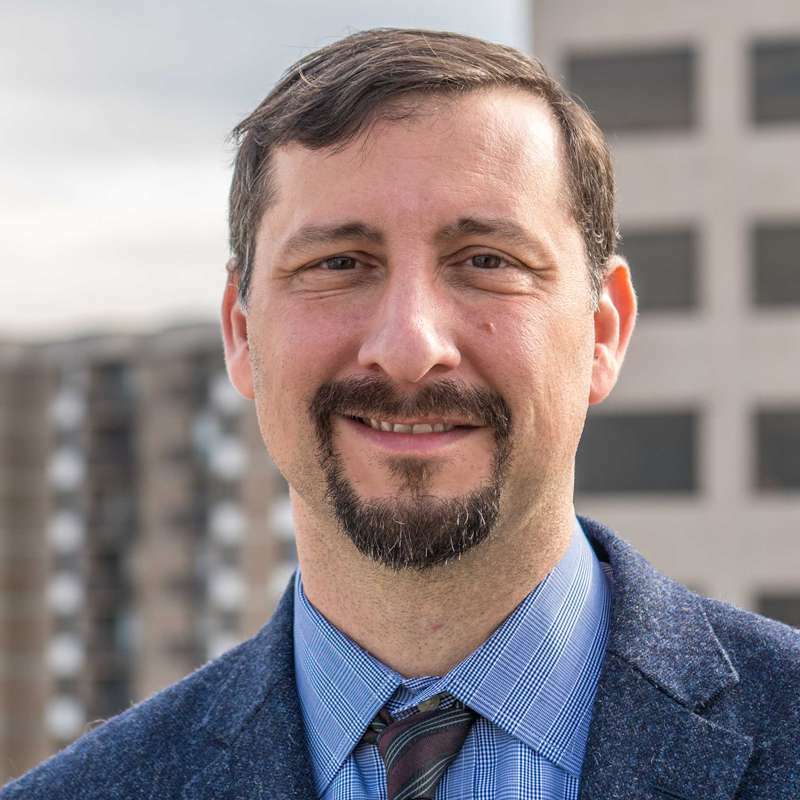 Adam Ortiz is the Director of the Montgomery County Department of Environmental Protection, a $140 million agency with 300 employees and contractors. The Department oversees programs for watershed restoration, greenhouse gas reduction, renewable energy, sustainability, and environmental compliance. Prior to joining Montgomery County, Adam served as the Director of the Department of Environment for Prince George’s County, Maryland, from 2012 through 2018 where he oversaw stormwater management, recycling, waste management, animal services, and sustainability programs. He launched several industry-leading initiatives including the largest municipal organics composting facility in the country, a $100 million public-private partnership for green infrastructure focusing on small and local business development, and various partnerships with faith, nonprofit, and business sectors. Adam served in the administration of Governor Martin O’Malley from 2007 to 2012. He focused on workforce, higher education, and veterans’ affairs as Deputy Chief of Staff for Lt. Governor Anthony Brown, and prior to that he worked on workforce and immigration policy, and StateStat, as Special Assistant to Secretary Tom Perez at the Department of Labor, Licensing and Regulation. From 2005 to 2011, Adam served three terms as Mayor of Edmonston, Maryland. In this role he was recognized as a Champion of Change by The White House and received a Bright Idea Award from Harvard’s Kennedy School of Government for building the country’s first complete green street. Earlier in his career Adam worked as an advocate working on equity and human rights issues, including as a Soros Justice Fellow at the American Bar Association to abolish the death penalty for juveniles which culminated in the landmark 5-4 U.S. Supreme Court decision, Roper v. Simmons. Adam was also Deputy Director for Amnesty International’s Midwest Office which worked to abolish the death penalty, stop police brutality, improve prison conditions, improve fairness for asylum, and release prisoners of conscience. Adam has a B.A. in Public Policy from Goucher College in Towson, Maryland.